The Brunel 200 year enabled thousands of people in Bristol and across the South West to learn about the life and work of Isambard Kingdom Brunel through diverse formal and informal learning opportunities. These took many forms, including offering subsidised transport to enable schools to visit sites around the city, workshops and residencies with artists in schools, trips to museums and art galleries, lectures by Adam Hart-Davis, and theatre and music performances. This learning journey was a remarkable one, Brunel as a personality and historical figure captivating children of all ages and stimulating debate and investigation across the curriculum. 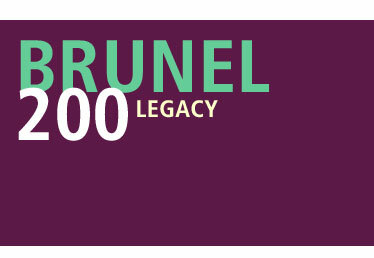 Brunel’s legacy as a great Victorian polymath provided numerous dimensions to involve a wide spectrum of schools, colleges and learning groups. This fed into the sense of an exciting and inclusive community celebration that crossed many boundaries. In Bristol, with our rich physical Brunel heritage, we were able to encourage visits to Brunel’s ss Great Britain and Clifton Suspension Bridge, the Old Station at the British Empire and Commonwealth Museum and exhibition at the City Museum and Art Gallery as well as trails around the harbour. The success of these visits was many-fold, introducing new schools to the potential for learning through a close up experience of Brunel’s work. It resulted in further learning in schools and set the scene for our ambitious residencies programme encouraging creative exploration through Brunel, his life, work and legacy. Further to the education work that took place in 2006, Clifton Suspension Bridge Visitor Services is in the process of creating an extensive education pack designed specifically to provide curriculum-focused, classroom-based projects exploring various aspects of the world famous bridge. The projects will be suitable for whole-class activities and group or individual pupil study. They should enable pupils to appreciate the bridge if they make a visit and encourage further study in a variety of subjects. The launch date of the pack will be announced on the bridge web site news page: www.clifton-suspension-bridge.org.uk. For information about school visits and guided tours please visit the website.